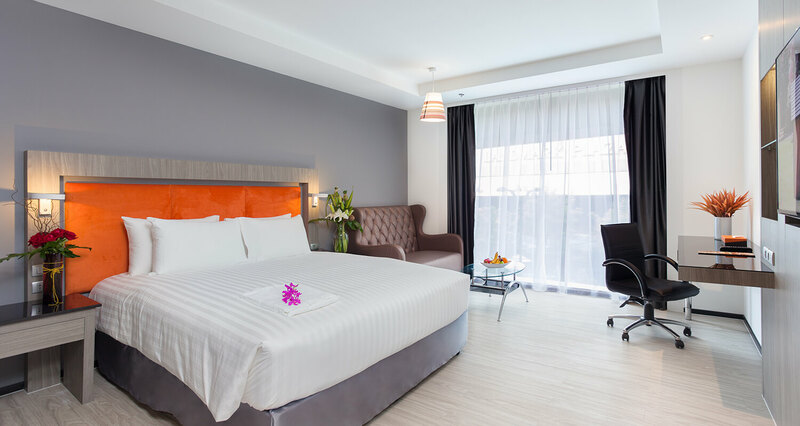 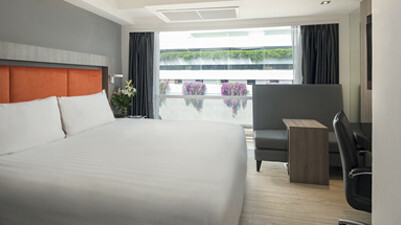 The Grand Deluxe rooms at our hotel in Sukhumvit, Bangkok are a haven of relaxation with tasteful furnishings and thoughtful layouts that incorporate a comfortable sofa lounge area. 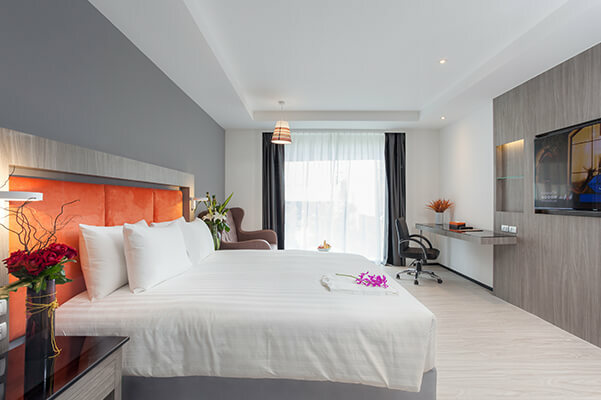 The larger room size features a dressing area and a spacious bathroom with an elegant glass shower unit, slate grey tiles and his and her vanity. 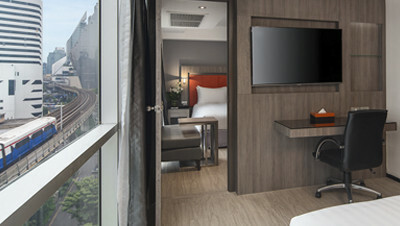 Kick back after a day in the city and browse the international channels on the Smart TV, or catch up on business with complimentary Wi-Fi at the work desk. 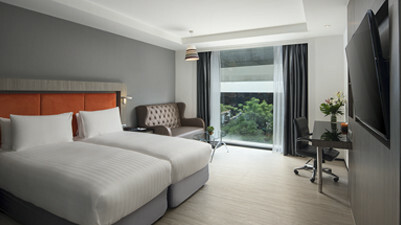 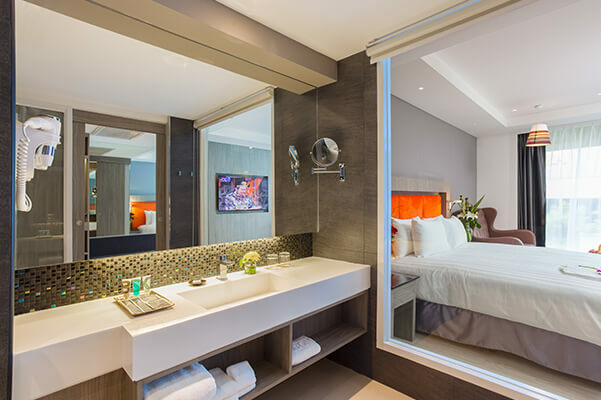 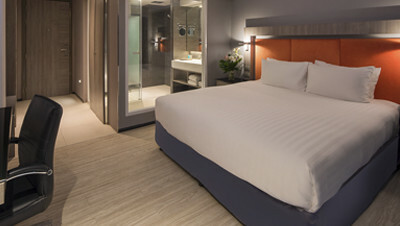 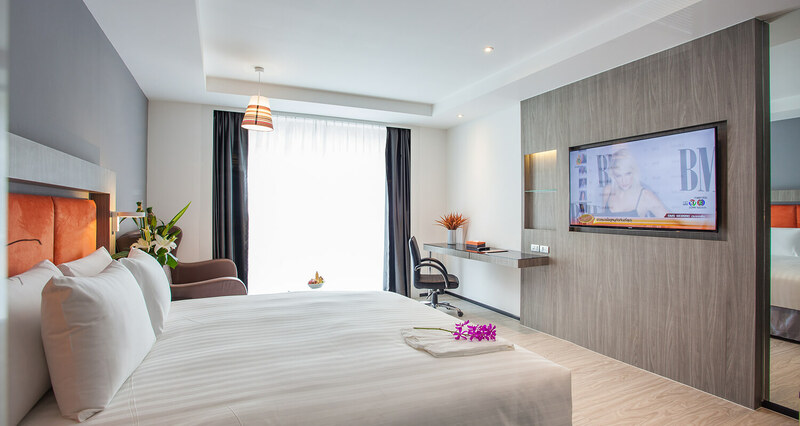 The Grand Deluxe rooms are designed with all the amenities for business and pleasure and are available with a choice of king-size and twin single beds.